Canned food is something that almost every single person eats on a regular basis. While it isn’t generally the tastiest or even the healthiest type of food, it is incredibly convenient and often easy to cook, making it a popular choice. 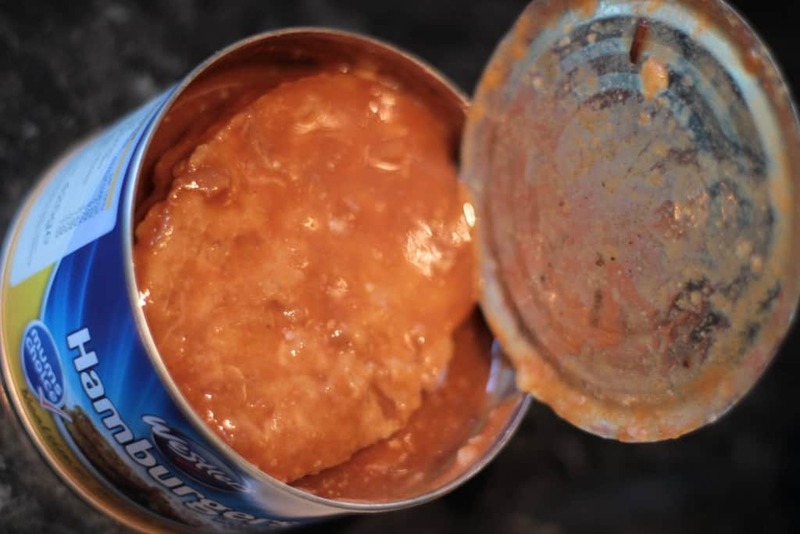 However, there are generally only certain types of food that people will normally eat from a tin, with the likes of vegetables, fruits, and meat being the obvious examples, though that hasn’t stopped companies from putting other, more bizarre, items in cans. 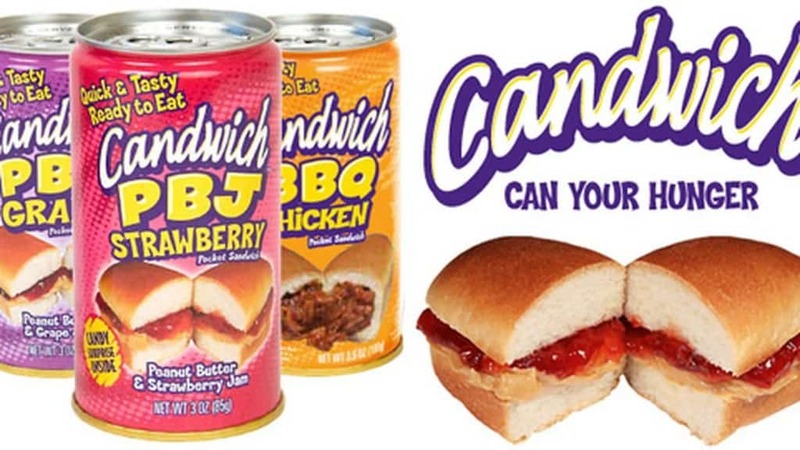 Hamburgers in a can are a popular type of food in the United Kingdom, where they are often served with gravy and can be quickly cooked in just a few minutes straight from the tin without any other preparation. 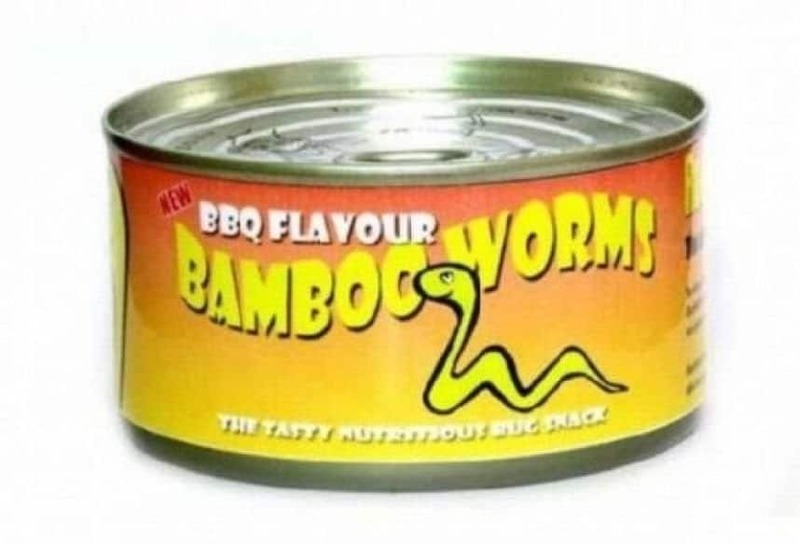 It obviously makes all the difference for these canned worms to be BBQ flavored rather than left to their natural taste. 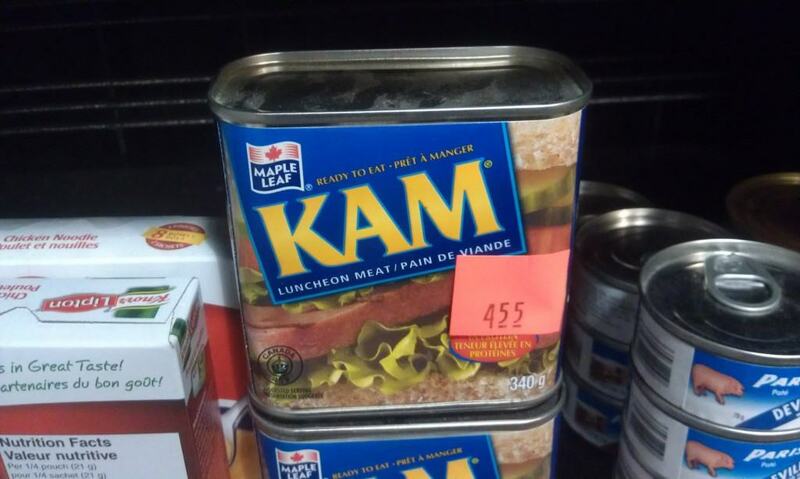 Kam seems like a slightly less well known alternative to Spam and lists its ingredients as mechanically separated chicken, pork, water, salt, soy and corn starch. Yummy! 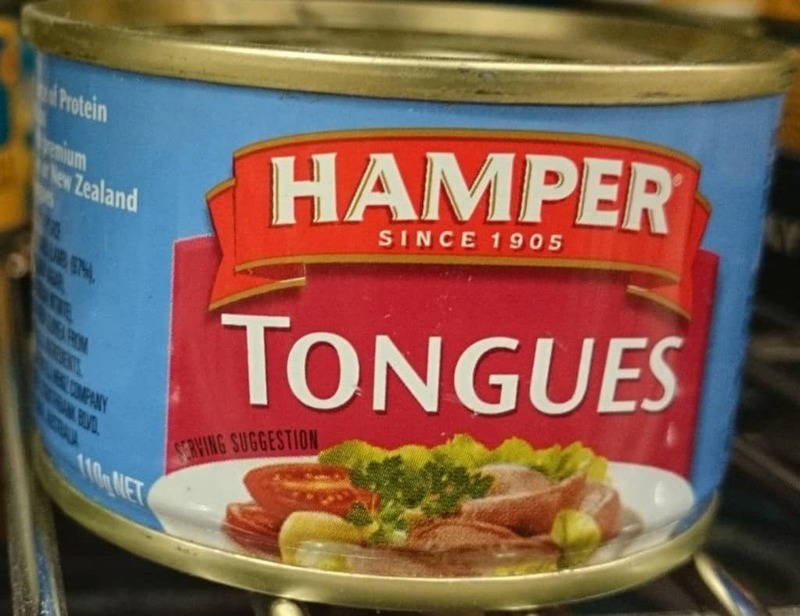 Sheep tongues aren’t exactly a common food that people enjoy so we have no idea why anyone would need to mass produce cans of it to sell in stores. If it makes you feel any better, these tongues actually come from lambs. 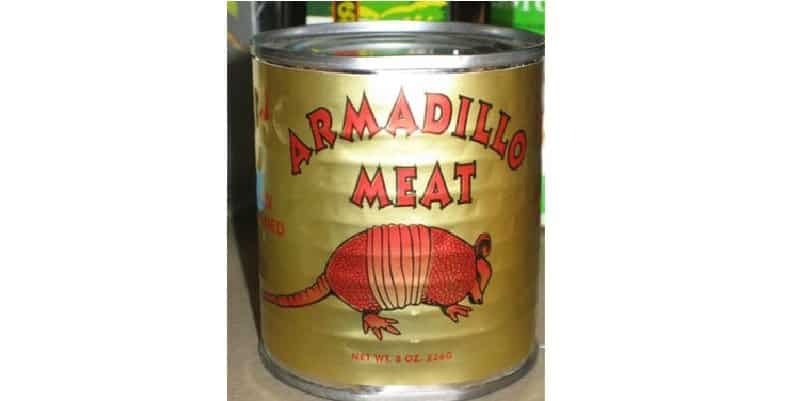 Armadillo meat is something of an exotic meat and probably too much of an acquired taste to be mass producing cans of the stuff. 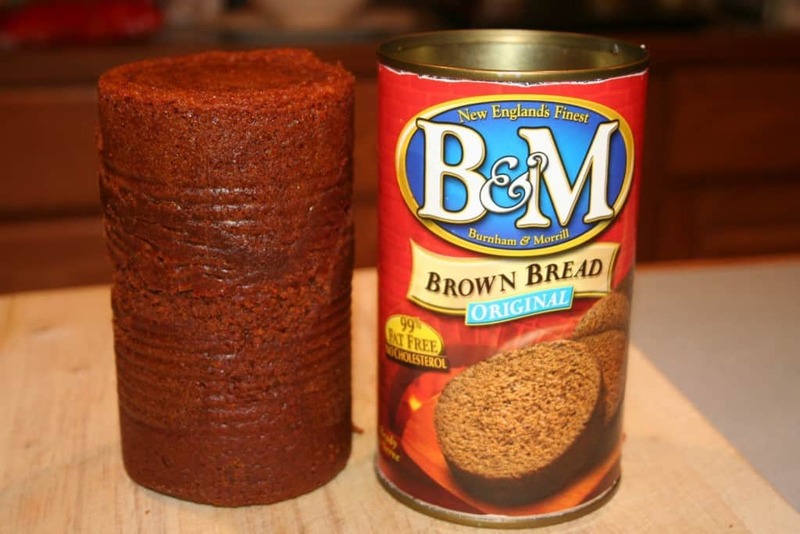 While most people prefer their bread to be as fresh as possible most of the time, some people are obviously fans of brown bread that has been crushed into a can for an extended period of time because B&M have been creating this product for a number of years. 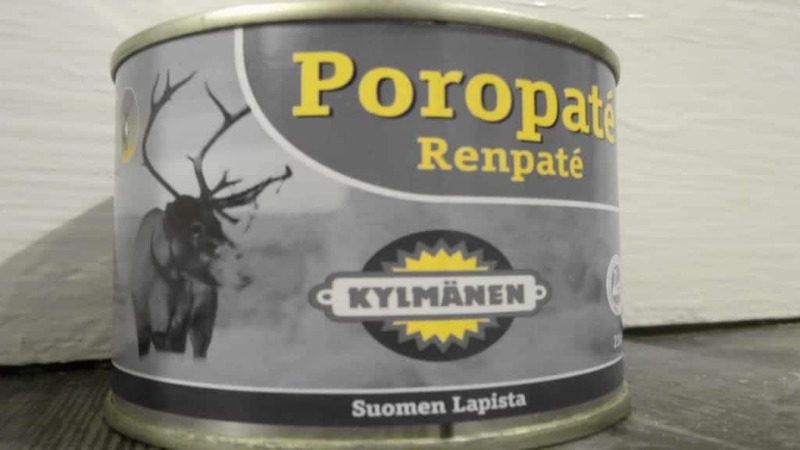 It’s probably best not to eat Reindeer Paté at Christmas, otherwise you might have a hard time explaining to the kids why Santa Clause couldn’t deliver the presents this year. 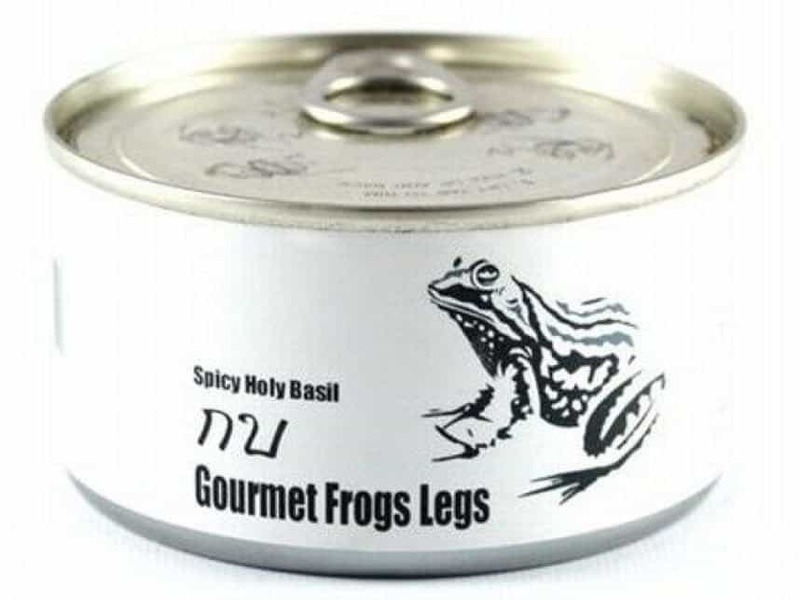 The very idea of eating frogs legs is disgusting to a great number of people, despite the fact it is an established delicacy in the likes of France. Yet, even those who enjoy the food would probably prefer them to not out of a can. 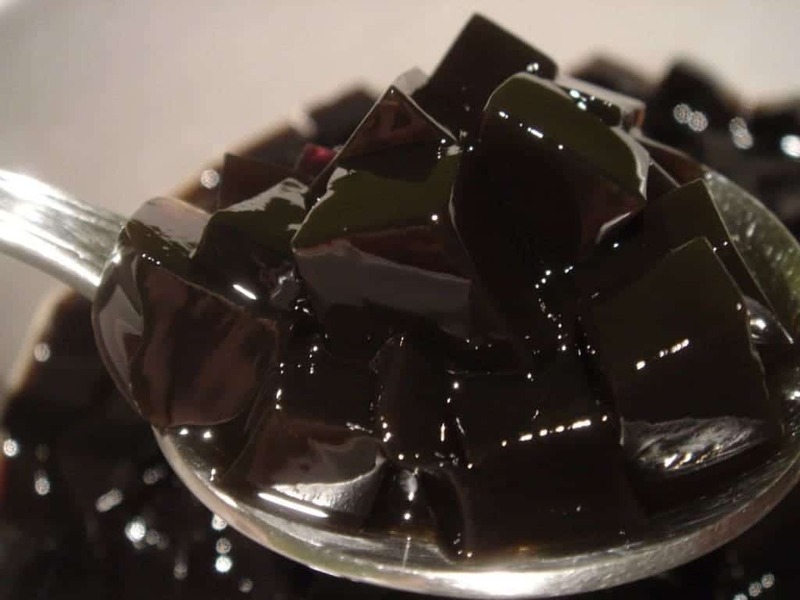 Grass Jelly is a substance that can be used to make a syrupy drink or as a dessert much like jelly in other countries. What makes it different though is the fact it is actually made out of oxidized stalks and leaves. The image accompanying this sandwich in a can isn’t doing very much to advertise how tasty it looks, and neither does the video that is available online that shows how to put the sandwich together after removing the ingredients from the tin.